Where can you use these manners and dances? At weddings, bar mitzvahs, the country club, or on a cruise. Any place that has music and a dance floor! We at Burgess Cotillion believe that our program will give your children self-confidence that will benefit them for the rest of their lives. 1] We teach your children to dance. 2] We review some manners and teach new etiquette. 3] We encourage the children to make new friends. 4] We stress having fun in a structured environment. 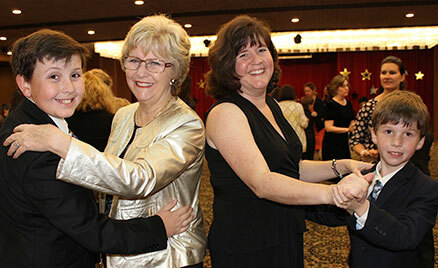 We teach the three basic ballroom dances – waltz, foxtrot and swing – every season. We also teach Latin dances – chacha, samba, and meringue one year, alternating with salsa, tango, and rumba the next. We also teach current popular dances and classic novelty dances such as the Charleston and polka, or dances from the 50s, 60s, and 70s. We teach our students how to introduce themselves, how to go through a reception line, how to ask a lady to dance, and how to sit properly. At one class, a table is set up for a demonstration on table manners. We also cover telephone, cell phone, and computer manners. Students from many different schools attend Burgess Cotillion. So your children will be meeting new people. Our aim is for everyone to feel comfortable in a social situation; so we teach how to start a conversation and make proper introductions. We want our students to respect themselves and respect others. We have dance contests, games, prizes with a ticket drawing at the end of every dance, and, of course, refreshments! Burgess Cotillion has eight dances a season. Three of them are fun themes. We always have a Halloween party complete with a costume parade and contest. Other themes may include Hawaiian Holiday, Dancing at the Movies, Country Western, Dancing Around the World, or the Fabulous Fifties At our final dance each season, we invite all parents to participate in our mother-son or father-daughter dances. We also have our annual waltz contests where trophies and prizes are awarded to the winners. We have eight experienced teachers circulating around the dance floor throughout each class. We also are happy to have several Junior teachers, who are all former students, helping your children learn new steps. Parents are encouraged to volunteer as chaperones. Girls: Party dress or skirt and blouse. No pants, bare midriffs, or strapless, please. 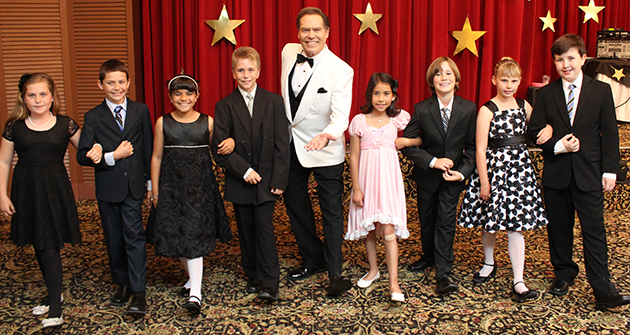 Burgess Cotillion classes are conducted by Mr. Bobby Burgess, Cotillion Master. Mr. Burgess was an original Walt Disney Mouseketeer, the ballroom dancer on the weekly Lawrence Welk Show, and a student and instructor of the legendary Call's Cotillion in Long Beach, California. Mr. Burgess brings his lifetime of dancing experience to his cotillion classes. Our goal at Burgess Cotillion is to have an even ratio of girls to boys so that every girl has a partner for every dance. As the classes fill up, it may be necessary to place girls on a waiting list with that balanced ratio in mind. We will contact you if your daughter is placed on the waiting list. If you find a boy who will register in the class along with your daughter, she will bypass the waiting list and be enrolled. You may also leave her on the list, and as boys are enrolled, girls will be called in list order. 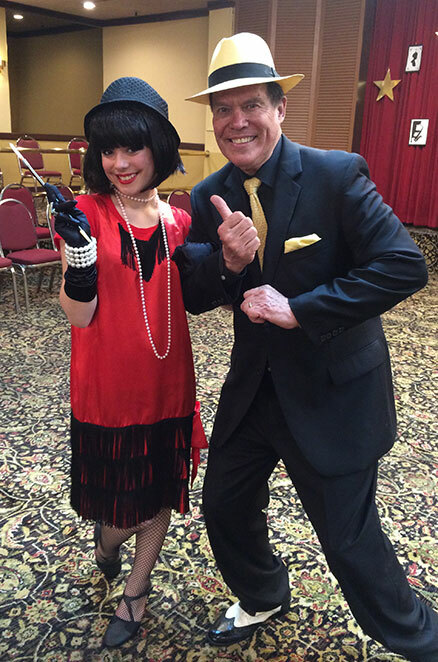 In addition to ballroom dance instruction, manners and etiquette will be emphasized. Come join us for some fun! Burgess Cotillion will hold its 29th season in a NEW LOCATION! Parents are encouraged to observe. Burgess Cotillion may occasionally photograph or videotape classes for promotional purposes only.